So many of the great monkey moms (and monkeys) I know suggested that here would be the perfect spot for them to do shout-outs to breeders, brokers and vets. It is said that nothing is a better predictor of future expectations than what has been experienced in the past. 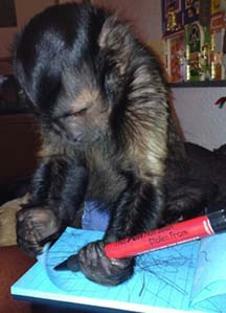 It is our hope that sharing experiences can help others thinking of obtaining a monkey and finding great vet care. All experiences and personal stories, good or bad, will be published "as is" and hopefully it will become a resource to benefit the monkey community. Maybe if the vets and breeders know the community is watching and sharing, they will all be a little more willing to go the extra mile.